Our amazing guests continue to amaze us with their dedicated support of local food pantries and animal organizations. How are they doing all that? Simply adding a donation to their grocery totals when they check out. Across Wisconsin, they’re contributing to two programs unique to Festival Foods — Food for Neighbors and Paw Away Hunger. 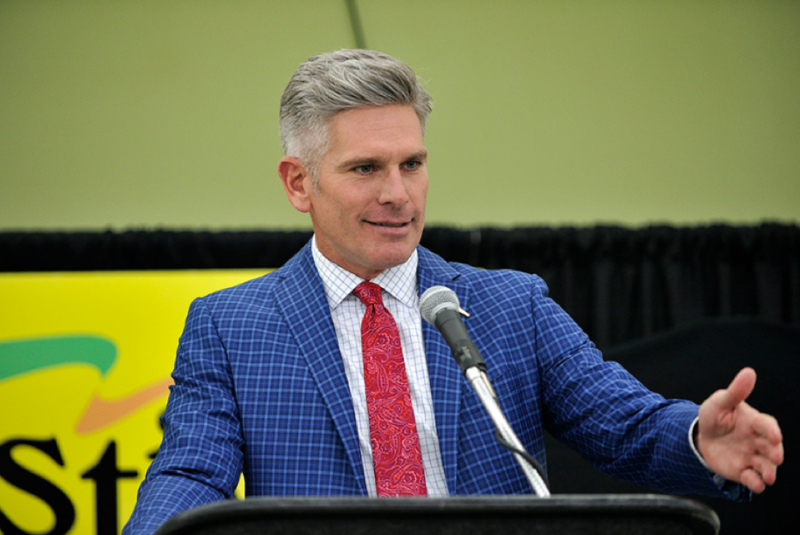 Those efforts have raised nearly $1.4 million to date with donating nearly $150,000 last year alone. As you might expect, that money goes a long way. All of the money raised as part of this program goes to supporting local organizations in the communities where the donations were made. In all, 40 Wisconsin food pantries and 29 Wisconsin animal organizations benefit from these Festival Foods’ programs. 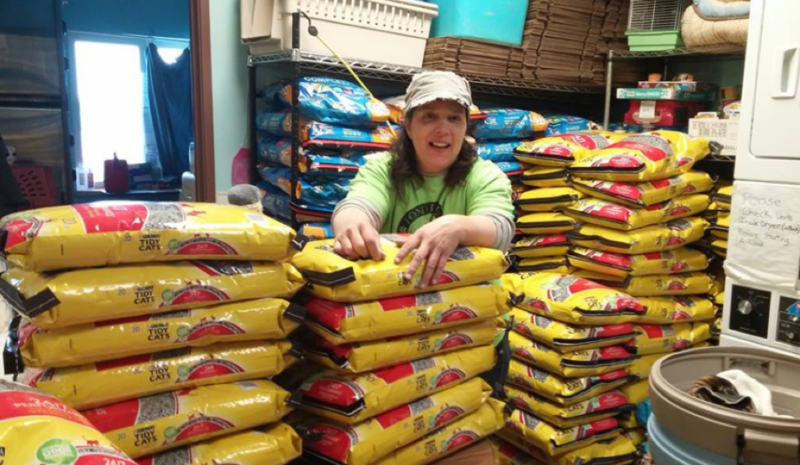 Last spring, for example, associates at our Fond du Lac store delivered 98 bags of cat litter and 60 bags of Cat Chow to the Fond du Lac Humane Society. The donation was the result of our Paw Away Hunger program. This donation, while definitely a lot to stock, is a great way to show that the money raised through the program stays in the community where it was donated. Festival Foods began the Food for Neighbors program in 2004 in eight of our Festival Foods locations. 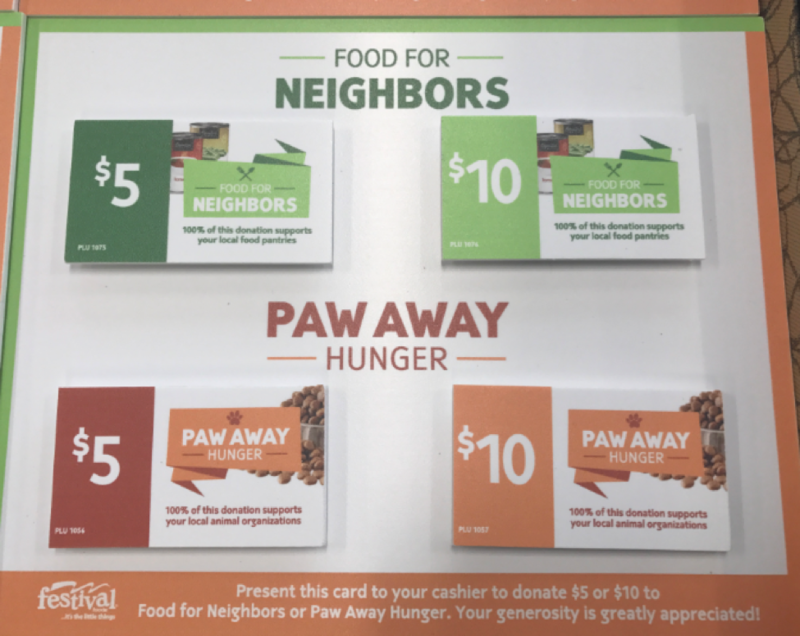 Paw Away Hunger was created shortly after Food for Neighbors in response to the needs of Wisconsin animal organizations. Both programs offer our guests the chance to donate $5 or $10 in cards offered right at the register, as well as the pet aisle and canned vegetable aisle. The donated amount then gets added to the bill and set aside for a donation to local organizations. 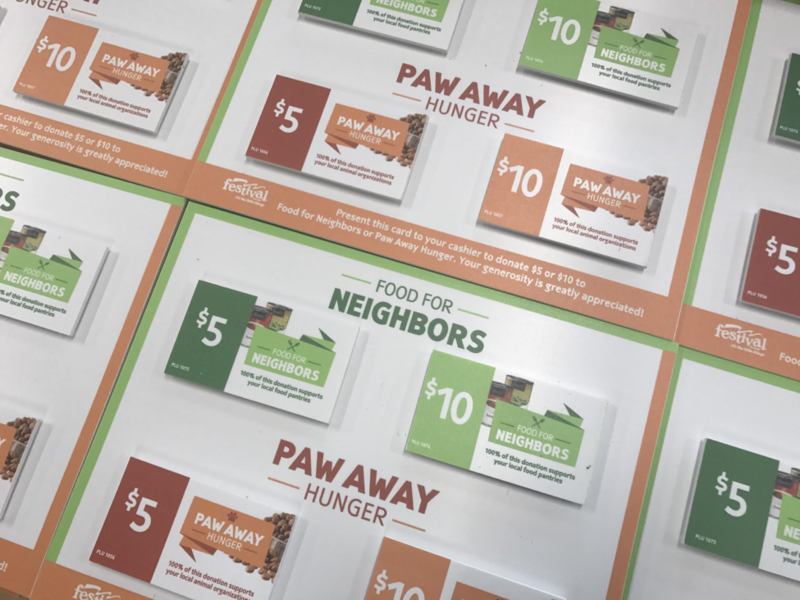 This year, we’re taking Food for Neighbors and Paw Away Hunger to the next level. 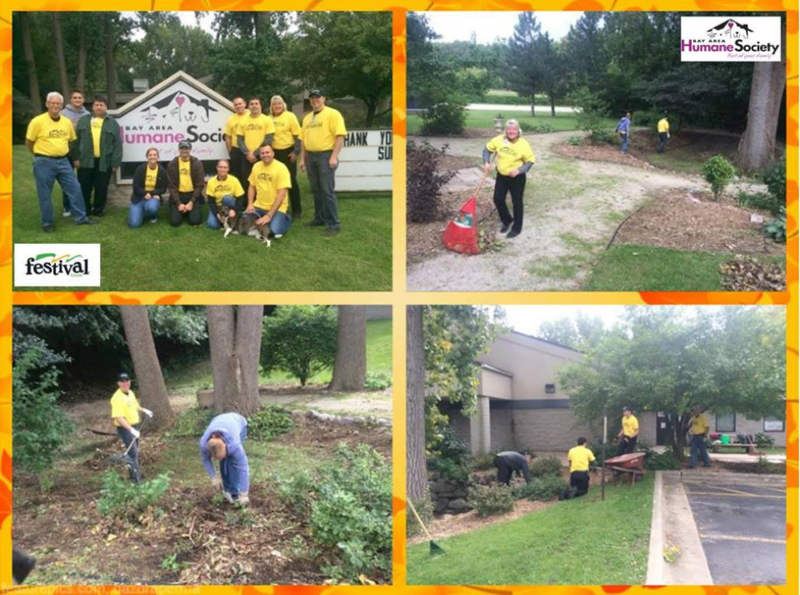 Many Festival Foods associates also give back to their communities by volunteering — like our Suamico team (pictured above) that recently helped out at the Bay Area Humane Society. Many associates also contribute to a food pantry fund as part of our Jeans Day program. Associates can wear jeans on the last Friday of each month if they contribute to this effort. In 2016, an additional $8,575 in food pantry donations came from the company’s Jeans Day program.